Like Lyft more than Uber? You’re not alone! 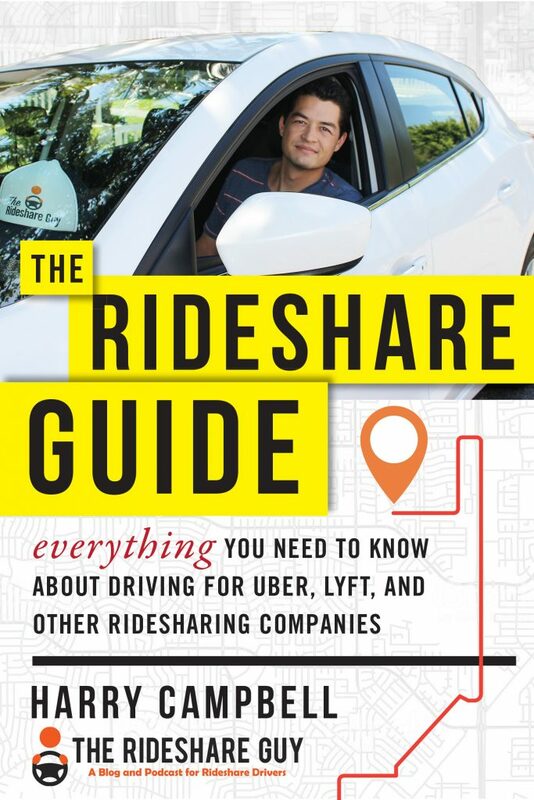 This week, we’ve challenged senior RSG contributors Jay Cradeur and Christian Perea to explain why they like Lyft (Jay) and Uber (Christian) more than the other service. Don’t agree with Jay today? Stay tuned for Wednesday, when Christian explains why he likes Uber more than Lyft. 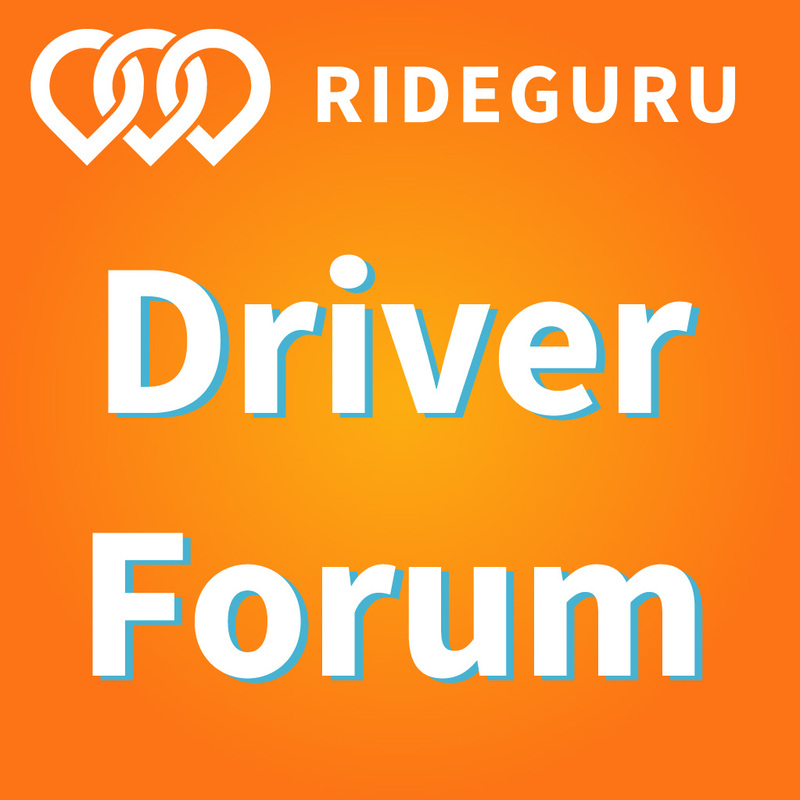 Want to be a Lyft/Uber driver? Click here to sign up to drive for Lyft or Uber. 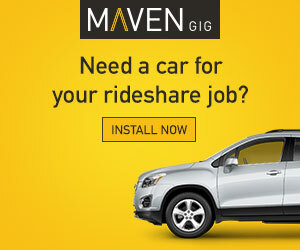 Want to be a passenger and ride Uber or Lyft? Click here to sign up for Uber and get free ride credit. Click here to sign up for Lyft and get free ride credit. Uber or Lyft: Which is better to drive for? On Monday, I took my blue Prius to the local Firestone for the recommended monthly minor service. From there, I took several Uber trips around the city running errands and back to Firestone. I had three conversations with Uber drivers about their thoughts on Lyft vs Uber, and each one of them told me they drove exclusively for Uber. They presented some sound rationale for their driving decision. And still, after hearing all their well thought out reasons, I choose to drive primarily for Lyft. While each driver will have his or her individual desires, wants and needs, mine lead me straight ahead toward Lyft as my primary rideshare company. While I drive almost exclusively for Lyft, I am also an active driver for Uber. It is important to have both companies available to you. You never know when one service will go down, such as what happened to Uber for a few hours back in 2016. In addition, you can’t prepare for when one of the services will deactivate you, such as what happened to me when Uber deactivated me for 6 weeks based on a technical glitch. You could also be sidelined for paperwork deficiencies. Sometimes, it may be so darn slow out there that having both apps working for you to get you a ride will reduce wait time and increase your profits. Which pays more bonuses, Lyft or Uber? All three of the Uber drivers I spoke with mentioned the flexibility of the Uber bonuses. 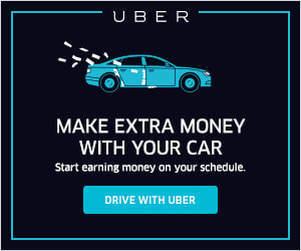 With Uber, you can drive at anytime of the day or night and those rides all count toward your bonus. With Lyft, you need to drive during Peak Hours as well as regular hours in order to obtain the Power Driver Bonus. The Uber drivers said they either drove in the morning, or the afternoon, but not both. Therefore the Uber bonus was easier to obtain. Also, the Lyft bonus requires you to maintain a 90% acceptance rate. See the image below. Uber does not have the same requirement, so you can be more carefree when you cancel or don’t accept rides. Still, I prefer the Lyft vs Uber bonus structure because it is consistent. I know each week what I need to do. I can plan ahead. Some people prefer to plan their work and then work their plan. I am one of those people. Other people tend to be more flexible and willing to live with insecurity. Some weeks Uber offers great bonuses at over $3 per trip. Other weeks, that figure can drop down to $2 per trip. I don’t enjoy feelingl like a pawn in Uber’s game, a lab rat that is enduring their experimentation and gamesmanship. I will take Lyft’s consistency and straightforward approach. It works for me. The Uber bonuses change every three to four days. They are not consistent. During one period, the bonus per ride may be just $2 per ride, and in another period, it could be $3 per ride. I don’t like to wait until the night before a bonus period to discover the bonus payout. I signed up to drive for Uber in December 2015. I signed up for Lyft in January 2016. Uber paid me 75%. Lyft paid me 80%. Every time I drive for Uber, I feel like I am getting paid too little. Every time I drive for Lyft, I feel like I won the lottery and am getting paid just a little bit more. I know it is only a difference of $100 or so each week, but over 2 years that is close to $10,000. Watch: And Don’t Forget About Upfront Pricing! Why Uber doesn’t offer to match Lyft’s percentage, I don’t know. I have asked Uber many times and each time they say “No.” Merit means nothing. The only thing that matters is when you or I signed up to drive. There is nothing I can do with the Uber app that I can’t do with the Lyft app. However, there is one thing I can do with the Lyft app, which I cannot do with the Uber app. With Lyft, I can click on Arrive and immediately see my destination. If I don’t like it, I can cancel and wait for a better ride. This is essential for me during high Primetime periods during rush hour. I don’t want to get stuck going out of town, across a bridge and sitting in traffic when I could be doing multiple rides with high Primetime values. Lyft gives me flexibility. Uber does not. When passengers hear that I drive almost exclusively for Lyft, they ask me “Why?” I answer: “Cats and Dogs.” I explain that Uber passengers are more like cats. Quiet. Non-responsive. They are content to sit in the back and play with the smartphone. Lyft passengers are more like dogs. Dogs are friendly. They want to engage. They are enthusiastic and playful. While this is a gross generalization, it does ring true. The majority of Lyft passengers have, for one reason or another, rejected Uber. They had a bad experience of some sort. Or they simply don’t vibe with Uber’s internal politics, or de-crowned CEO. Most Lyft passengers have chosen Lyft and seem happy about it. Lyft feels more like a little club and passengers and drivers are equals. Uber passengers seem to view drivers as the hired help. I choose dogs every time. Another reason why Lyft is better vs Uber. It took Uber quite a while to embrace tips for the drivers. Unfortunately, Uber passengers were trained to avoid tipping. Lyft passengers, however, have been tipping drivers from day one. I get, on average, about $100 per week in tips, or about an extra $2 per hour. Getting an Uber passenger to tip is akin to squeezing blood out of a turnip. It’s very difficult primarily because they have not become accustomed to adding tips through the Uber app. I like to get tips. They cheer me up. I am constantly looking at my earnings to see how much extra I made in tips, and it’s fun. Uber is definitely the big dog when it comes to rideshare driving. As the big dog, they have garnered substantial negative press for, among other things, their corporate culture and aggressive policies. For many passengers and drivers, this does not mean anything. In San Francisco however, there are many passengers and drivers for whom how Uber conducts business impacts their decisions. For this reason, I do feel better when I drive for Lyft. They don’t do everything to my liking. I have had many disagreements with Lyft over things like referral bonuses and cancellation fees. But they did throw me a big fancy dinner back in December, and they did give me these really cool socks! Which pays better, Uber or Lyft? Each driver drives for his or her own personal reasons. I drive to make as much money as I can while have a great time doing it. Lyft pays me more, offers me a reliable bonus structure, delivers more tip money, allows me greater flexibility with ride selection, and let’s me hang out with my fellow dogs. Lyft is the underdog, and I am a sucker for the underdog. Come on Lyft, let’s do it! Do you prefer Lyft vs Uber, like Jay? If not, stick around for Wednesday’s article, where Christian breaks down why he likes Uber more than Lyft!